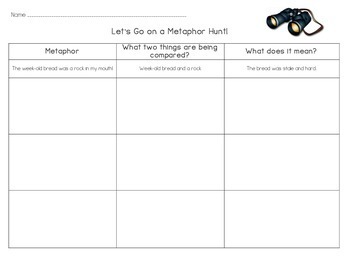 Your students will love "hunting" for metaphors with this organizer. 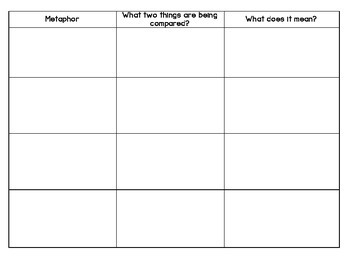 Students have space to identify the metaphor in a text, determine what is being compared, and analyze what the metaphor means. This is a two-page organizer with plenty of space for writing.